Our farming landscape and the food that we produce from it is shaped as much by those who buy the food as those who farm it. FARM exists to bring together farmers, consumers and environmentalists to fight for a common, sustainable future for farming in the UK. The passing of the 10th anniversary of GM controversy in the UK was a silent one; probably because within the debate there seems little in the way of progress that can be celebrated. 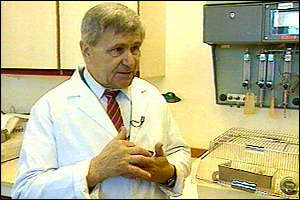 In August 1998, Dr Arpad Pusztai made a public statement about a GM feeding trial that he had conducted at the Rowett Research Institute in Aberdeen. His experiments involved feeding rats on a GM potato for 10 days and he was fully expecting there to be no difference between them and the control batch, which had been fed a non-GM potato. In fact, he found what he considered to be significant differences, with the rat’s immune systems weakened and the growth of internal organs, including the kidney, spleen and brain. He concluded that further work was needed to understand why these differences had occurred, however those calls were lost in the ensuing controversy in which he was humiliated, suspended and ultimately forced to retire. A decade later, concerns about health and the potential unintended side effects that GM crops can present remain as strong as ever. A recently published research paper by Australian scientists is one of the latest in a long string of reports that have raised the question whether we need to independently test GM foods for health impacts as part of the regulatory process. The GM pea, which was being developed for commercial use, had been inserted with a gene, normally found in kidney beans, to make them resistant to the pea weevil. During testing, the GM peas were fed to mice for four weeks and were found to have triggered allergic reactions in the mice: The lung tissue became inflamed and the mice also became sensitive to other substances, reacting to albumen, whereas those fed non-GM peas did not. 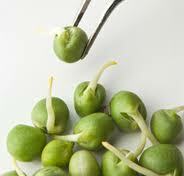 Even after cooking the peas, the mice still had an allergic reaction, which was considered a surprising result as the mice did not have an allergic reaction to non-GM peas or to the kidney beans, and because the new protein expressed by the introduced gene in the peas was chemically identical to the protein in the kidney beans. Closer revealed that although the protein in the GM peas had an identical amino acid sequence to the protein in beans, there were differences in the sugars attached to it. The scientists concluded that a protein, which is non-toxic in its native plant, cannot be assumed to remain non-toxic when transferred and expressed in a GM plant. Until now, the approval process has relied heavily on the presumption of “substantial equivalence”. The onus has been on the manufacturer of the product to inform the relevant authorities of any detected health impacts and the tests that led to the toxic effects discovered in the Australian pea study are not a required part of the approval process currently in place within the UK. Unsurprisingly, we have a regulatory system that fails to inspire confidence in the general public and despite this, there is continuing pressure from the biotechnology industry to remove further “obstacles” to the approval process. Many of the promises held out by those who develop GM crops over the past decade have remained elusive. Today, almost all of the GM crops grown throughout the world express only two GM traits; one is herbicide tolerance, or “HT”, which make the plant immune to the application of broad-spectrum herbicides such as Glyphosate or Glufosinate Ammonuim. The second trait is insect resistance or “BT”, which confers protection in crops such as cotton or maize to stem borer insects. The claimed advantages of both BT and HT crops have diminished with time, as natural predators and weeds have adapted to the technology and themselves become resistant to the crops management defences. In most cases, GM crops are the subject of “Technology Use Agreements”, or “TUAs”. Because GM crops are covered by a number of patents, growing and managing the crops are often covered by a license agreement. In the case of HT crops for instance, agreements will stipulate the brand of chemical that must be used in conjunction with the crop. Therefore a grower of Monsanto’s RoundUp-Ready Soya would have to use Monsanto RoundUp rather than a cheaper generic Glyphosate equivalent. Such a license agreement therefore effectively reduces, if not completely eliminates competition and leaves the farmer at a considerable disadvantage in bargaining power. Similar restrictions apply to saving homegrown seed for future harvests. However, a decade of GM has not been entirely without notable developments and the understanding of genetics has improved considerably. GM technology was based upon an assumption that a single gene was responsible for a given trait. It is now understood that the reality is far more complex and it is the reason why many of the promised developments within GM crops have failed to materialize. One of the techniques developed to enable GM transformation, is the use of “markers” to identify the position and function of gene sequences. Through the use of this marker technology, it is now possible to identify at a very early stage, natural variations and their associated traits. The use of Marker Assisted Technology (MAS), Marker Assisted Breeding (MAB) and other similar techniques has allowed the process of conventional plant breeding to be revolutionized in terms of time and efficiency. The use of this technology has allowed the development of plant traits, which scientists once thought would only be possible through the more controversial route of GM. Recent examples of success in non-GM plant breeding have included Salt-Tolerant Wheat, Drought-Resistant Maize and Rice, allergen-free peanuts, and beta-carotene enhanced crops. 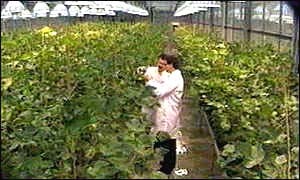 Biotechnology companies developing “second generation” GM crops are using techniques such as MAS to develop the yield and quality traits, whilst relying on the same limited function of “HT” or “BT” as the transgenic elements of the development. Evidence of the past 10 years should have shown us that GM is limited in its success and its benefits are questionable, particularly in relation to the problems of segregation, labeling, liability and customer rejection. The health concerns raised by Dr Arpad Pusztai over 10 years ago and those that continue to be exposed by more recent research remain largely ignored by a government and industry bodies who see them merely as inconvenient obstacles to their chosen model of industrialized agriculture. History should serve as a reminder of the folly of ignoring health concerns in the pursuit of industry interests. A public display of eating beef burgers did little to address the very real threat posed by BSE and called into question the wisdom of such a compromised mix of politics, commercial interests and science. With such an opportunity to invest in a non-GM, non-controversial technology such as Marker Assisted Breeding, we have probably arrived at a point where continuing the debate over GM Foods actually holding back our plant breeding program. The time has come to put GM back in the laboratory and try to understand the reasons some of the unpredicted side effects of the technology. Through Marker Assisted Breeding and appropriate management practice, farming has both the tools and the capacity to meet all the objectives that we are so often told can only be delivered through GM crops. Ironically, arguments perpetuated by those who have invested heavily in GM technology and their associated research partners now threaten to be one of the most significant distractions currently preventing progress towards the objective of sustainable farming.